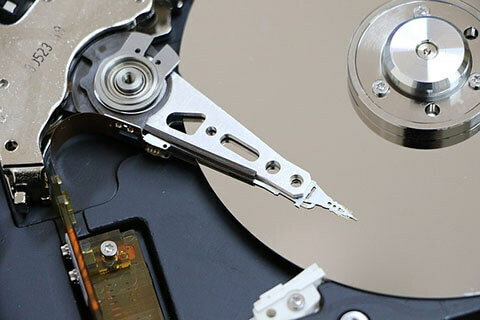 When you’re upgrading to a new hard disk, you might think of copying or cloning the whole contents of your hard drive. If the hard drive contains system, you can’t just drag and drop files in Windows to the new drive. Just copying and pasting Windows files will result in system unbootable from new hard drive. However, a third party copying software can do a perfect job to transfer all files including boot sectors and other important information related to system to the new hard disk, say the registry. This article will introduce you how to copy or clone the hard drive to another drive with this backup software/ EaseUS software. With EaseUS software you can completely copy your hard drive without any logical errors and sector issues. Millions of trusted people recommend this third party software to backup your data in a secure drive in a secured way. After the steps shown in the video tutorial, you have now successful cloned your hard drive and you may check the cloned disk in the Disk Management by right-clicking “My computer” and choose “Manage” -> “Storage” -> “Disk Management”. This is the best method to clone a hard drive and many people don’t get this point why they need to use a third party software instead of directly copying and pasting. This tutorial will help each and every one whole are in thirsty of this method or technique. This software has many benefits instead of just cloning your hard drive. But it can also recover your files perfectly and take a backup of your files , images, documents, photos and necessary applications. It is Easy to Install and Simple to Use – intuitive interface guiding you step-by-step and Reliable and Secure – back up any crucial data and protect them in a safe way. Supports for both Windows Operating Systems and Macintosh and also time saving. These are some benefactors which only a geek like me can narrate you. Thanks for reading.. Have a great day.